Head’s up, guys! Are you looking for a way to refresh your look now that we’re into Fall? Here at Joseph and Friends, we’ve got the scoop on all the hottest hair trends for men at the end of 2018. To get you inspired before your appointment, we’ve gathered a list of a few of our favorites. The Fringe. When styled correctly, the fringe haircut can really add some texture and dimension to your hair. The versatility of this cut is what makes it such a good hairstyle to work with. Unlike a lot of other cuts, you don’t have to keep it styled exactly the same way every single day, and you can play around with different looks depending on how you work it. The Military. Sometimes you’d rather just eat your breakfast and get dressed in the morning, not have to stand in front of the mirror preening, am I right? If that’s the case for you, then this just might be your perfect haircut. There are a few variations, but the general look is close-shaved sides and a short top, with minimal texture worked in for style. A little bit of stubble or a nicely kept beard can help balance out the look and keep you from looking too much like a fresh-faced new recruit, and a small amount of clay or pomade can stop the front from looking like it’s pasted to your head. Chin length Hair. If you like the idea of longer locks, but don’t want it so long that it’s getting in the way, then the flattering chin or shoulder length styles are always an option. This style tends to work best for people with textured or curly hair, as it helps create some softness to the look and keeps your hair looking more natural and relaxed. 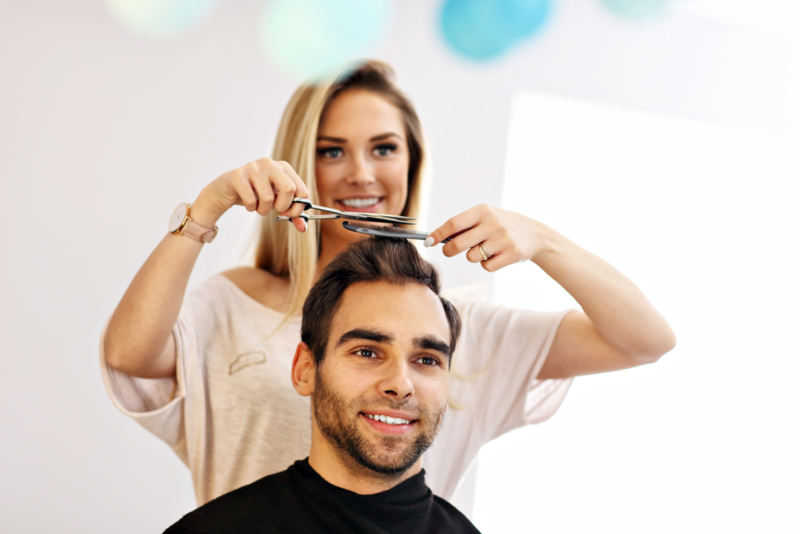 No matter which style you choose, Joseph and Friends is dedicated to giving you the cut and style you deserve. Book an appointment at any of our Atlanta locations online, or download our free mobile app from the AppStore, Google Play, or Amazon.